I have had mixed experiences wih these (the 1a saca de 2013 (preblog), the 2a saca de 2013, the 1a saca de 2014, the 2a saca de 2014, and the 1a saca de 2015) but it was only recently that I found out that the these sacas are from different bodegas. According to this piece by Spanishwinelover, the first few (the first sacas were 2010) are from Sanchez Ayala, the more recent from Bodegas Francisco Yuste (a new bodega but one that acquired the historic solera of Conde de Aldama). Wherever it comes from (and I am assuming Sanchez Ayala) this is a real beauty. 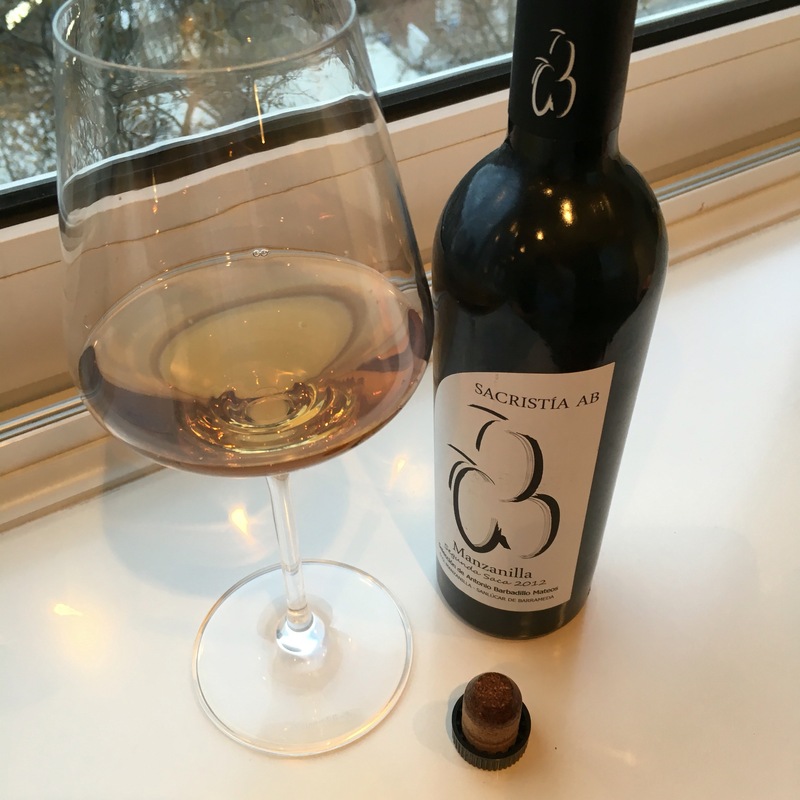 The colour is a dark, dark gold, on the nose it is very aromatic and yeasty (lot of hay bales for a manzanilla), then on the palate baked apple-like fruit, zingy salinity, and a long, long tail of those fading apple, yeast and mineral flavours. A really tasty, almost explosive, wine. I have found some of the others shy, refined or restrained but this is none of those things. Wonderful stuff.